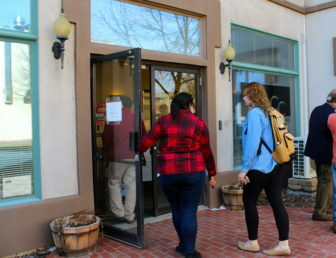 Students walk into a building on Middlesex Community College’s Meriden campus. As public protests mount against the unexpected announcement that Middlesex Community College’s Meriden campus will close this spring, students and the public can brace for many more sudden cuts at the state’s community colleges and regional universities. While closing the Meriden campus is expected to save the Connecticut State Colleges & Universities less than $1 million in the upcoming fiscal year, college leaders have said they intend to cut $22 million across the system’s 17 colleges and universities. System officials also say, however, that they will not disclose the cuts they are considering, and the public will be informed after decisions have been made. Robert Brown, chairman of the Faculty Advisory Committee for the college system, said faculty also have not been informed of plans for cuts. “It would be irresponsible and misleading to place the larger lists of ideas discussed in the public forum for discussion and response. To disclose that would, in our mind, serve no compelling public purpose,” CSCU spokesman Michael Kozlowski said in response to a Mirror request for reduction plans individual school presidents have provided to the central office. While the statements will not be released, sources have shed light on a couple of cuts that have already begun to be implemented. Southern Connecticut State University is paring back the number of courses its College of Arts and Sciences will offer next semester, and Three Rivers Community College is notifying some staff their employment agreements will not be continued. 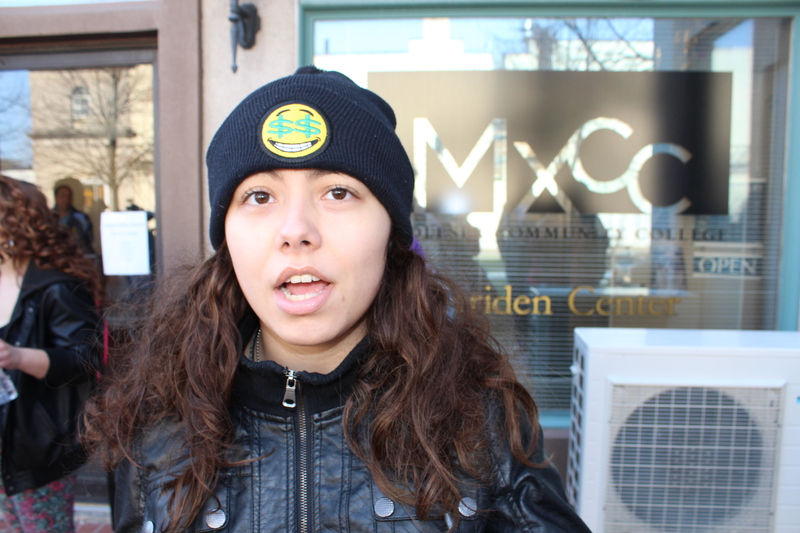 In Meriden, students like Genesis Robles were angry and surprised by the closure. “I was shocked,” said Robles, who joined other students, local business owners and state legislators on Monday to lambaste the closure at the end of the semester. “I am upset. It’s really going to be a struggle now for me to finish school,” said Robles, who works and babysits her younger sisters between classes. With the Meriden closure, 700 students will have to travel to Middletown if they want to continue their community college education — an hour-long bus ride. Genesis Robles was shocked when she heard her school would be closing at the end of the semester. The state legislators that represent Meriden aren’t convinced of that, including the Senate chair of the higher education committee. Funding to support the sprawling network of schools has been on a roller coaster over the last several years. Facing an historic $3.7 billion budget shortfall in 2012, state lawmakers reduced funding to the system by 10 percent. But funding has since rebounded, and last year the state spent $522.7 million on the colleges — more than in any of the five previous years. But the state is facing a deficit for the fiscal year that begins July 1. Gov. Dannel P. Malloy has proposed cutting state funding to the system by $20.5 million next year. The legislature has until June 3 to adopt a budget. College leaders, however, cannot wait to see how the state budget will play out because students need to start enrolling in classes now, financial aid decisions must be made, and some staff have to be notified well in advance if their employment will not be continued. The system’s Board of Regents is expected to consider a budget for the colleges and universities in May, and presidents at that time share highlights how proposed funding levels impact their schools. Because of the delay in the budget adoption, Wasescha said, the decision was made ahead of time to close the Meriden campus after a meeting with the system president. Students have already begun enrolling for classes next semester, and the Meriden location will not be an option. 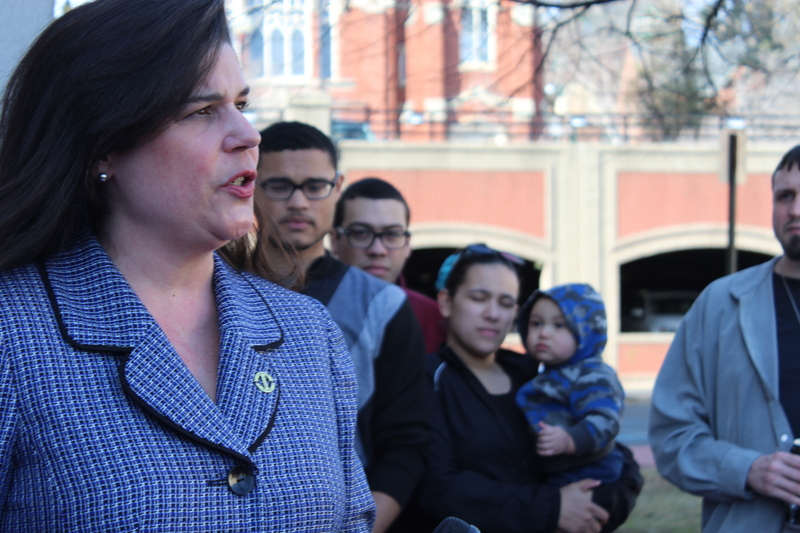 Vowing “to fight like hell,” Bartolomeo pointed to several expenditures that she said could have been better spent keeping the Meriden campus open. That includes $750,000 in pay raises for administrators, to match the percentage of raises given to unionized staff. Another $1.97 million was paid to consultants to come up with a plan for the system’s future, and the planned spending of $60,000 on marketing to attract more students.